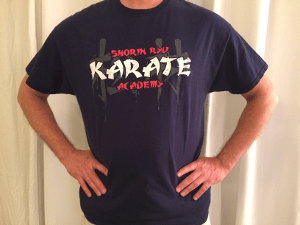 Support Shorin Ryu Karate by wearing this Shorin Ryu Karate Academy T-shirt! You can adjust the number of shirts you wish you order in the PayPal shopping cart. 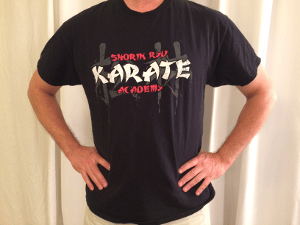 To add additional shirts that are different sizes and/or colors, simply click the continue shopping button in the PayPal shopping cart to return to this page. Make your selection, and click add to cart. NOTE: Black XL shirts have sold out.